The Comrades' First Challenge! Ballade's Act of Revenge! - Our first fight ever with Ballade! Team Building - The Sinister Six, Mechanical Maniacs, Wily's Warriors, Johnathan, Forte Chan, and us are called for a team building exercise. Enter Kryptoman - Drill's deadly creation lives, and he wants Bizzaro Shadowman! Krypto's Assault - We team up with the Maniacs to stop Kryptoman! Wrath of the Met King Part 1 - Toad has been taken captive by the Met King! Wrath of the Met King Part 2 - We finally make it to the Met King's lair and are ready to kill! Just a Normal Day - Ballade comes over and tries to kill us. You know, the usual. A Very Cossack Christmas - Our Christmas special in which Wily tries to kill Christmas! The Beginning of the End - The beginning of our five-part storyline. 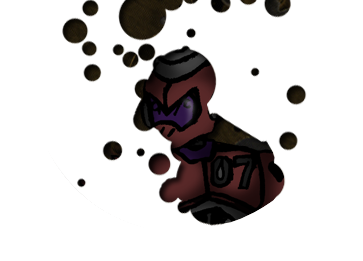 Drill touches a strange device and we vanish along with the Rockman killers! Trapped in Anime World Part 1- Drill and Pharaoh end up in the Tenchi Muyo universe and Ballade appears! Trapped in Anime Land Part 2 - Skull and Ring get stuck in the DBZ world and get attacked by Super Punk! Trapped in Anime World Part 3 - Dust and Dive get caught up in a war to control the Shikon no Tama in Inuyasha, and somehow Quint manages to make an ally of Naraku. Trapped in Anime Land Part 4 - The conclusion of our trip in animeland and our season finale. Toad, Bright, and Enker must somehow get away from Sailor Moon!